Anti nuclear campaigner Eileen Wani Wingfield honoured posthumously at the 2018 SA Environment Awards. in the 1990s Eileen was instrumental in the fight against the federal government’s plan to build a nuclear waste dump in the SA desert and in 2003 she was the recipient of the International Goldman Award for Protection of Environment. Why aren’t they doing anything? 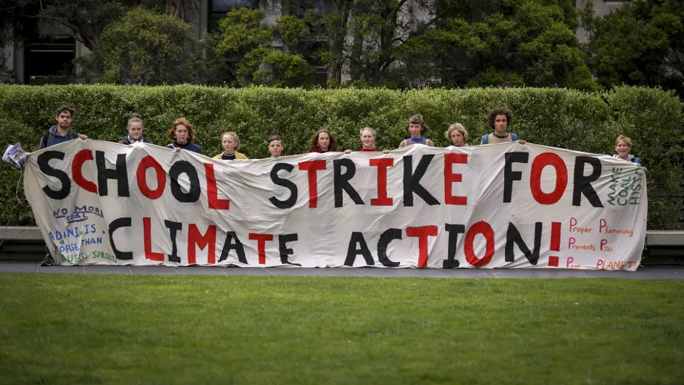 : Students strike to give climate lesson, https://www.brisbanetimes.com.au/environment/climate-change/why-aren-t-they-doing-anything-students-strike-to-give-climate-lesson-20181123-p50hvu.htmlBy Peter Hannam, 24 November 2018 This Friday, November 30, thousands of Australian students will go on strike, demanding their politicians start taking serious action on climate change.The movement, School Strike 4 Climate Action, has been inspired by a 15-year-old Swedish student, Greta Thunberg, who started boycotting classes before parliamentary elections in her nation on September 9, and continues to skip school every Friday. She also has a particular message for Australia. Students in each state capital and across 20 regional Australian centres will walk out of their classrooms this week to tell politicians that more of the same climate inaction is not good enough. Here are some of the lessons they hope to teach. Heather Mckenzie Stuart Fight To Stop Nuclear Waste Dump In Flinders Ranges SA, 4 June 18 Hmm, Regina McKenzie Vivianne C McKenzie I feel that our intelligence has been insulted by DIIS especially how we have been disrespected and ignored in our stand against the proposed nuclear waste dump Barndioota on Adnyamathanha yarta. Honestly people, we might be Aboriginal and are still part of the flora and fauna and not in the Australian Constitution, but we have a mind of our own and can go between the non Aboriginal world and our culture. We started our campaign against the dump talking to media etc, attending protest marches, visiting politicians. Vivianne and Regina went to Melbourne to see the then minister Frydenburg. Regina and my grand daughter went to Canberra campaigning with others. Regina’s daughter attended functions in Sydney. I dropped out attending functions interstate, due to the loss of my only son. The grief of a loss of a child, no matter how old is horrendous, I wouldn’t wish it on anyone, but at the time, the DIIS lot didn’t care about me my feelings, my hurt, my sorrow as a human being, a mother who was in mourning, they still persisted liaisoning with my family organisation and visited family homes in Port Augusta causing unrest among our once close family. During this time, culturally at different times, I should have had my loved ones around me, but due to the unrest among everyone that those lot caused, me and my family were left on our own. Everyones world was turned upside down as we had already lost a dear family member 4 months before my son’s passing, we were already grieving for a nephew. Australia’s Least Likely Tourist Spot: A Test Site for Atom Bombs, NYT, By BEN STUBBS, APRIL 15, 2018 MARALINGA, Australia — Maralinga, a barren stretch of land in South Australia’s remote western desert, is the country’s only former nuclear test site open to tourists. And Robin Matthews is Australia’s only nuclear tour guide………. “Yes, there is still radiation here,” Mr. Matthews said as he drove a minibus to the sites where the Australian and British governments dropped seven bombs between 1956 and 1963, which dotted the earth with huge craters and poisoned scores of Indigenous people and their descendants. Back then, the government placed hundreds of human guinea pigs — wearing only shorts and long socks — in the front areas of the test zones. The effects of large doses of radiation were devastating……..
Today just four people live full time in Maralinga village, a veritable ghost town. Amid the old buildings are new lodgings built for tourists, complete with hot water and Wi-Fi. In the 1950s and ’60s, at the height of the Cold War, 35,000 military personnel lived here. There was a permanent airstrip, then the longest in the Southern Hemisphere, plus roads, a swimming pool, accommodation and railway access. The first nuclear test was conducted in September 1956, two months before the Melbourne Olympics. That blast — as powerful as the bomb that the United States dropped on Hiroshima, Japan — was the first of seven atomic bombs set off here. But it was the so-called minor tests that were the most harrowing. Carried out in secret, the tests examined how toxic substances, including uranium and plutonium 239, would react when burned or blown up. To ensure tourists’ safety in the area, a zone was cleaned up by radiation scientists at the cost of more than 100 million Australian dollars, about $77 million. Around one area tourists can visit are 22 major pits, each at least 50 feet deep and cased in reinforced concrete to prevent dangerous radiation from seeping out. The site looks like a recently tilled garden bed, stretching out for hundreds of yards, in a near perfect circle. Dotting the red desert earth are shards of twisted metal. Aside from a few feral camels loping nearby, it is still and silent. But on Oct. 4 1956, a “nuclear land mine” was detonated here, tearing a crater 140 feet wide and 70 feet deep into the earth. The resulting atomic reaction took only a fraction of a second, but its effects on one Indigenous family would last decades. Two weeks later, Ms. Millpuddie delivered a stillborn baby. Survivors of the blasts, their children and grandchildren suffered from cataracts, blood diseases, arthritic conditions, stomach cancers and birth defects. In the 1980s, a Royal Commission investigating the tests awarded Ms. Millpuddie 75,000 Australian dollars. When Ray Whitby and a handful of Australian Navy colleagues stepped onto an island off the WA coast after Britain had just wrapped-up its nuclear weapons testing, they had no idea their lives would be changed forever. “We were in shorts, sandals and short-sleeved shirts,” Mr Whitby said. A scientist who was with them that day on the Montebello Islands off the Pilbara coast — and who was decked-out in full protective clothing — delivered a grim message. “He told us ‘you guys shouldn’t be here, this is deadly’,” Mr Whitby said. Later investigations found the weapons tested on those islands — believed to be around four times more powerful than those dropped on Hiroshima and Nagasaki in World War II — had left behind a level of radiation that was “definitely unacceptable to personnel”. When Mr Whitby and his colleagues returned to their ship they attempted to decontaminate themselves, but were later told the water they used to do this, also contained high radiation levels. So too, did the kitchen items they were using to prepare meals. Mr Whitby said the effect was devastating, with many of his fellow servicemen on that HMAS Fremantle mission dying as early as their 30s, or suffering lasting health issues. He has fought cancer and saw his wife miscarry five times. “We were used as live guinea pigs,” Mr Whitby said. Many in similar circumstances to Mr Whitby had a big win last year, when the Federal Government announced a $133 million program to give nuclear veterans access to the gold card, which provides veterans with lifelong no-gap medical insurance. But this would only apply to veterans exposed to radiation between October 3, 1952 and June 19, 1958. Mr Whitby and his colleagues were exposed 85 days after the cut-off date. One of those colleagues, ex-serviceman Jim Marlow, describes the situation as infuriating. “Why it differentiates between one and the other I have no idea,” he said. Mr Marlow, Mr Whitby and others have spent years campaigning for access to the gold card, believing it to be a fair request given the challenges they have faced in their later lives. “I paid hundreds of thousands of dollars out over the years on cancers and various medical situations that I had,” Mr Whitby said. The exact number of people in the same situation is unknown, but the Australian Ex-Services Atomic Survivors Association believes it to be relatively small and one that would not require a big financial outlay from the Federal Government. Veterans affairs benefits are a federal issue, but the State Government has vowed to lobby the Commonwealth to extend medical benefits to Mr Whitby and others in the same circumstance. Mr Whitby’s son, Reece, is a first-term Labor MP in WA and used his platform in State Parliament to urge the Commonwealth to act. “If we can’t treat veterans from the 50s fairly, how can current members of our armed services have confidence they will be treated fairly in years to come?” Reece Whitby said. A spokeswoman for Federal Veterans Affairs Minister Darren Chester said the eligibility dates were determined on the basis of scientific evidence. My name is Sue Coleman-Haseldine. I was born into poverty on the margins of Australian society on the Aboriginal mission of Koonibba in 1951. At this time my people were not allowed to vote and we had very few means to be understood, let alone be heard. I was born into one of the oldest living cultures known on Earth and into a place that I love – a dusty, arid paradise on the edge of a rugged coastline. Our land and waters are central to our outlook and religion and provide the basis for my people’s health and happiness. And I was born just before the desert lands to our north were bombed by the deadliest weapons on Earth in an extensive, secretive and devastating manner by the Australian and British governments. In the 1950s, areas known as Emu Fields and Maralinga were used to test nine full-scale atomic bombs and for 600 other nuclear tests, leaving the land highly radioactive. We weren’t on ground zero, but the dust didn’t stay in one place. The winds brought the poison to us and many others. Aboriginal people, indeed many people at that time, knew nothing about the effects of radiation. We didn’t know the invisible killer was falling amongst us. Six decades on, my small town of Ceduna is being called the Cancer Capital of Australia. There are so many deaths in our region of various cancers. My grand-daughter and I have had our thyroids removed, and there are many others in our area with thyroid problems. Fertility issues appear common. But there has been no long-term assessment of the health impacts in the region and even those involved in the botched clean-ups of the test sites have no recourse because they cannot prove their illness is linked with exposure to nuclear weapons testing. The impact of the Maralinga and Emu Fields testing has had far-reaching consequences that are still being felt today. Ask a young person from my area, “What do you think you will die from?” The answer is, “Cancer, everyone else is”. I have lived my life learning about the bomb tests and also learning that the voice of my people and others won’t always be understood or heard. But I learnt from old people now gone that speaking up is important and by joining with others from many different places and backgrounds that our voices can be amplified. Through these steps I found the International Campaign to Abolish Nuclear Weapons (ICAN), or perhaps ICAN found me. ICAN – as an organisation, as a collective of passionate, educated people working for a clear goal – has been so important to me. To know that my story and my voice helps bring recognition to the past and can shape the future of nuclear prohibition has strengthened my resolve. Being involved in ICAN has been a double-edged sword. On one hand and for the first time in my life, I no longer feel alone or isolated. I have met others from many parts of the globe who have similar stories and experiences and who are passionate advocates for a nuclear-free future. But the flip side of this is my understanding of just how widespread and just how devastating the nuclear weapons legacy is across the globe. To learn that so many weapons still exist sends fear to my heart. ICAN is a worthy winner of the Nobel Peace Prize – in a short time we have gathered support for a treaty to finally outlaw nuclear weapons and help eliminate the nuclear threat. The vision was reached in part with so many nations adopting the Treaty on the Prohibition of Nuclear Weapons in July 2017. And we should celebrate this win and the opportunity to work together to stop the suffering and assist countries to make amends to nuclear weapons victims by acknowledging the permanent damage done to land, health and culture. Unfortunately, the Australian government, along with other first world nations, didn’t even participate in the treaty negotiations, and they haven’t signed the treaty yet, but over time we feel confident they will. A lot has changed since I was born. Aboriginal people now have the right to vote in Australia, but still we battle for understanding about our culture and the Australian nuclear weapons legacy. My home is still remote and most of my people still poor. But we are also no longer alone. We have the means and the will to participate – to share and to learn and to bring about lasting change. ICAN’s work is not done, our work is not done. We will continue to work together. A world without nuclear weapons is a world we need and are creating. I stand here in hope and gratitude for the opportunity to participate. I stand here with pride and I stand here for our future and the generations to come. Yami’s daughters take up anti-nuclear fight https://nit.com.au/yamis-daughters-take-anti-nuclear-fight/ – Wendy Caccetta –reporter@nit.com.auNovember 29, 2017 Sisters Karina and Rose Lester know all too well the tragedy nuclear weapons can bring. Their late father Yami Lester, a Yankunytjatjara man of northern South Australia, lost his sight after being exposed as a boy to nuclear testing by the British Government at Maralinga in remote SA. He went on to become a prominent anti-nuclear campaigner. Now his daughters have taken up the battle, collecting and sharing stories that have helped the International Campaign to Abolish Nuclear Weapons (ICAN) win a Nobel Peace Prize. The prestigious prize will be presented in Oslo on December 10, with an event at Melbourne Town Hall to be held the same day. Karina Lester, who lives in Adelaide, said when she was growing up her father did not talk much at home about what had happened to him as a boy when the nuclear testing took place. But in public Mr Lester, who passed away in July at the age of 75, felt it was important to share with the world the events that shook the Wallatina community in the ’50s. “There’s a role a parent plays in protecting your children from really knowing some of the sad, sad stories that did take place across our community,” Ms Lester said. “He spoke a bit about where the camp was, he remembers that day, he remembers the ground shaking and this black mist rolling and the fear in the community. Ms Lester said conditions in the community deteriorated over a week after the testing.“When the fallout happened, that evening, people were violently ill,” she said. “There was a lot of vomiting going around in the camp. People became sick. Their eyes started getting sore and tender. “By day two, people were really starting to suffer. By week two, people’s eyes were either burnt out or people had bad burns on their bodies. “There were lots of rashes appearing and there was a trail of black-like soot that fell over the whole of the community. Ms Lester said the story was a painful one, but needed to be heard. She said it was important to take a stand against anything nuclear from weapons to waste storage facilities. The Lester sisters gave NIT permission to reproduce the photo of their late father. World spotlight shines on Maralinga horror, https://au.news.yahoo.com/a/38090548/world-spotlight-shines-on-maralinga-horror/ Lisa Martin, 30 Nov 17, Sue Coleman-Haseldine was a toddler crawling around in the dirt when the winds brought the black mist. Her white nappies on the washing line were burnt. It was in the 1950s when the British began testing nuclear weapons at Maralinga in the South Australian outback. Ceduna, the main township before the Nullarbor, is the cancer capital of Australia, Ms Coleman-Haseldine says. She’s had her thyroid removed and will be on medication for the rest of her life. Her 15-year-old granddaughter is also battling thyroid cancer..
On December 10, Ms Coleman-Haseldine will be in Oslo for the Noble Peace Prize award ceremony. The International Campaign to Abolish Nuclear Weapons (ICAN) is being recognised for its work to achieve a treaty-based ban on nuclear weapons. So far 122 countries have adopted the treaty, excluding Australia and countries with nuclear weapons – the US, UK, Russia, China, France, India, Pakistan, North Korea and Israel. Only three countries have ratified the treaty and 50 are needed for it to become international law. ICAN is a grassroots movement that began in Carlton, Melbourne more than a decade ago. In Norway, Ms Coleman-Haseldine will tell the story of her people and their contaminated land.”You’ve got to keep the past alive to protect the future,” she said. Ms Coleman-Haseldine hopes Australia will reverse its opposition and sign the treaty. The Turnbull government has ruled that out but the Labor Party will debate the issue at its national conference next year. Indigenous anti-nuclear activist tells of her personal work with Nobel Prize-winning ICAN http://www.abc.net.au/news/2017-10-07/ican-and-a-personal-battle-against-nuclear-weapons/9026846 By Karen Percy For Karina Lester 2017 has been a mixed bag — the loss of her beloved father, but a big win as part of the Nobel Peace Prize-winning International Campaign to Abolish Nuclear Weapons (ICAN). Ms Lester’s anti-nuclear stance is a very personal one. Her father was Yami Lester, an Aboriginal elder who was blinded by nuclear fallout when he was a child. Mr Lester died just two weeks after the United Nations agreed to the Treaty on the Prohibition of Nuclear Weapons thanks to ICAN’s work, which was last night named by the Norwegian Nobel Committee as the Peace Prize winner for 2017. He was 75 and had spent a lifetime raising awareness of the dangers of nuclear weapons, having been blinded during British weapons testing in Maralinga in South Australia in the 1950s. “I think he’d be really pleased and very proud to know but also grateful that ICAN was able to provide that platform for us and that his story was so powerful,” Ms Lester said. On July 7 the United Nations adopted the treaty. Mr Lester died on July 21. Ms Lester has become as passionate about the anti-nuclear movement as her father. “It’s not a happy story, it’s quite a sad and tragic story, but ICAN has certainly been a wonderful platform for us Anangu and Aboriginal people of Australia to really talk up strongly about what happened to us back in those days,” she said. When she was younger, she did not know what had caused her father’s blindness. “It wasn’t until later in life that I realised it was such a sad story … with the doings of the British Government and our Australian Government as well … allowing for tests to happen in South Australia in the 1950s and 60s. “[And] that they were responsible for taking my father’s sight. As a representative of Indigenous voices within ICAN’s 400-strong organisations around the world, she has told her father’s story to audiences around the Asia-Pacific region, including the Japanese city of Hiroshima, which was struck by an American nuclear bomb in 1945. A later attack on the Japanese city of Nagasaki prompted an end to World War II. Ms Lester has also exchanged stories with the people of the Marshall Islands and Tahiti affected by nuclear testing by French authorities from the 1960s until the 1990s. “Many tests have taken place or nuclear issues have occurred in Indigenous countries around the world, so it’s a global issue for sure,” said Ms Lester, a Western Desert Pitjantjatjara Yankunytjatjara woman. Her grandparents were part of efforts to prevent the establishment of a nuclear waste facility in SA. She took her daughters to Hiroshima in November 2015 where Yami Lester’s experience was well understood. “It’s important for us to continue on sharing that story for the next generation to know the story and [then] the next generation to know the story,” she said. The historic treaty pushed by ICAN needs 50 nations to sign on before it will be activated. Australia has yet to join the treaty. Yankunytjatjara elder and Maralinga nuclear test survivor Yami Lester OAM passes away, aged 75 http://www.adelaidenow.com.au/news/south-australia/yankunytjatjara-elder-and-maralinga-nuclear-test-survivor-yami-lester-oam-passes-away-aged-75/news-story/ccfc3f82c75a643c3e49f22c8a215dbf, MATT GARRICK, Sunday Mail (SA), July 22, 2017 YANKUNYTJATJARA elder Yami Lester OAM, an Outback hero who opened the nation’s eyes to the human cost of nuclear tests committed on Australian soil, has died aged 75 in Alice Springs. When he was a child playing in the red sand of his Outback community of Wallatina in South Australia, Mr Lester saw a black mist floating across the plains. The British Government had conducted two nuclear explosions at Emu Field, 480km northwest of Woomera, on October 15, 1953, and an unexpected wind change would change Mr Lester’s life. The fallout blew over his remote home, which, he claimed throughout his life, robbed him of his eyesight, and made his countrymen deathly ill.
Mr Lester fought relentlessly to shine a light on the repercussions on Aboriginal people by the British tests. He organised a legal team and travelled to London, where he demanded justice. The agitation eventually helped trigger the Royal Commission into British Nuclear Tests in Australia. Lack of evidence to prove the radiation had made his people sick meant the commission ended without closure — though it could not rule out that Mr Lester had lost his sight due to the black mist. It did result in group compensation for the Maralinga Tjarutja people and long-term clean-up operations to restore the land. Aside from his anti-nuclear advocacy, Mr Lester was a respected community leader and worked to preserve indigenous languages. 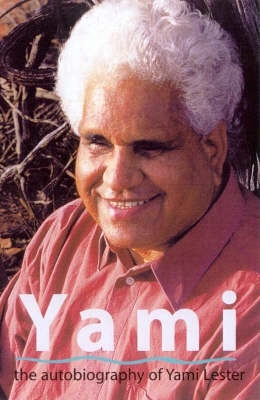 He worked in Alice Springs, on a mission then as a linguist, and helped lead the Institute of Aboriginal Development. Also woven in to his rich lifetime were ­marriage, fatherhood, directorship of the Pitjantjatjara Council, running cattle and working mines. His children have taken up the call for his lifelong battle for justice. His eldest daughter, Karina Lester, recently travelled to New York for UN negotiations on a treaty to ban nuclear weapons. State Aboriginal Affairs Minister Kyam Maher said he knew Mr Lester for almost 20 years. “My thoughts are with his family, who carry on his work of activism, standing up for the rights and views of Anangu and preserving culture and language,” Mr Maher said. The State Government is consulting with Mr Lester’s family to determine its wishes for a memorial service. ■ Mr Lester’s name and image were used with permission from his family. Lester, who was blinded by British atomic tests in South Australia in the 1950s, campaigned to get recognition for the 1,800 Indigenous Australians affected, Guardian, 23 July 17 Tributes have poured in for Aboriginal elder and activist Yami Lester, who died at the age of 75. Lester, who died in Alice Springs on Friday night, lived a life of “great hardship and challenge” after being blinded as a young adolescent by the Maralinga atomic tests in the 1950s, which he called the “black mist”. He worked as a stockman before losing his sight. He may be farewelled at a state funeral if his family accepts the offer from the Northern Territory government.“Mr Lester was a key Aboriginal leader who embraced the challenge of bridging two worlds,” NT chief minister Michael Gunner said on Saturday. “He never let his blindness hold him back, he was sharp as a tack in negotiating at the highest levels of business and government. He joined the Aboriginal Advancement League in Adelaide, fighting to gain recognition for the British atomic tests in South Australia, and an acknowledgement for the 1,800 Aboriginal people affected. His work lead to the McClelland royal commission in 1984-85 which resulted in group compensation for the Maralinga Tjarutja people and long-term clean-up operations to restore the land. Lester, who had an Order of Australia, was also central to the work of the Pitjantjatjara Council that led to the grant of freehold title to traditional owners in South Australia. South Australia’s Aboriginal affairs minister, Kyam Maher, said Lester had inspired many and left behind a strong legacy. Lester was also the inspiration for the 1987 Paul Kelly song Maralinga.“My thoughts are with his family, who carry on his work of activism, standing up for the rights and views of Anangu and preserving culture and language,” he said in a statement. The South Australian government is consulting with his family on a memorial to recognise his contribution to the state. Karina Lester: Aboriginal people do not want a nuclear waste dump in South Australia http://www.adelaidenow.com.au/news/opinion/karina-lester-aboriginal-people-do-not-want-a-nuclear-waste-dump-in-south-australia/news-story/b180d3850f4285c208a334957ef5d6f0 Karina Lester, The Advertiser June 28, 2017 IT was a huge honour to travel to New York for United Nations negotiations on a historic treaty to ban nuclear weapons — a long journey from Walatina in the Anangu Pitjantjatjara Yankunytjatjara Lands in far north west South Australia. Our Anangu story is not a happy one but it was a privilege to speak up at the UN — for my family and my own people and for indigenous peoples around the world who have suffered the effects of nuclear testing since the dawn of this nuclear age. I felt a great responsibility to acknowledge the many indigenous people who had lost lives and land, and suffered other harm and sickness, including my father Yami Lester. Dad was blinded by the British nuclear testing at Emu Field in 1953 and has never laid eyes on his Country since, nor ever on his son and two daughters, his 12 grandchildren and two great grandchildren. I shared our family’s story and urged the 130 nations gathered there to produce a strong treaty that will not only ban these destructive weapons but formally recognise the disproportionate impact of nuclear weapon activities on indigenous peoples. Yet, in the back of my mind in New York, amid all that history making and all that hope, was the knowledge that this fight is not even close to being over at home, that we never seem to be able to draw to a close this dangerous industry in South Australia. Pitjantjatjara, Yankunytjatjara, Kokatha, Adnyamathanha and other Aboriginal people of South Australia have been fighting this nuclear problem now for decades, since my father heard a British official falsely claiming that Anangu had been consulted on the tests which sent the ‘black mist’ which poisoned our people and land. Dad’s campaigning helped pave the way for the Royal Commission into British Nuclear Tests in Australia in 1985. But it didn’t take long for this injustice to be forgotten, for our traditional lands to once more to be seen as empty wastelands and for this struggle to become intergenerational. In 1998 the Howard Government announced its plan to build a national radioactive waste dump in the SA Outback. This time it was the Kupa Piti Kungka Tjuta, senior Aboriginal woman from Coober Pedy — among them my Kami (nana) Eileen Kampakuta Brown — who had to step up for the fight with their “Irati Wanti — the poison, leave it” campaign. It took a huge toll on those old women but they had learnt of the danger from their experience of Maralinga and Emu Field. Then two years ago came the threat again, with the Royal Commission into the expansion of the nuclear fuel cycle in South Australia and the proposal to ship, store and bury up to one-third of the world’s high-level long-lived radioactive waste. Where? Not in Adelaide, of course. But as my Kami said, this radioactive risk is not just a problem for our mob, it’s a problem for all South Australians, and the proposal was resoundingly rejected. Meanwhile, the Federal Government has been looking at Adnyamathanha country in the Flinders Ranges for a national low and intermediate-level nuclear dump. Facing strong Aboriginal resistance, it is also proposing a site on the Eyre Peninsula. Aboriginal people are not the only opponents of nuclear waste, but we have borne the brunt of this industry and have intimate knowledge of its costs. Governments have stripped Aboriginal people of land rights and heritage protections for nuclear tests and uranium mining, and we fear the same will happen with nuclear waste. At the behest of the United States, the Australian government did not even turn up for the landmark UN Treaty negotiations, though its own people — my people — still bear the impacts of nuclear testing. That is not recognition, respect nor representation. My father lost his eyesight because of nuclear weapons testing, but he has never lost his vision of a cleaner and safer future free of nuclear threats from weapons and waste. It’s time this country and this state shared that vision. research shows that if there isn’t a reduction in CO2 emissions, there will be up to 50 extra really hot days a year in northern Australia by the end of the century. Professor David Griggs, who recently retired as director of the Sustainable Development Institute at Monash University, said Australia is in denial about climate change. Climate scientists reveal their fears for the future http://www.abc.net.au/news/2017-06-27/climate-scientists-speak-of-their-worst-fears/8631368, Lateline By Kerry Brewster, Cradling her newborn baby girl, heatwave expert Sarah Perkins Kirkpatrick admits to feeling torn between the joy of motherhood and anxiety over her first-born child’s future. “I always wanted a big family and I’m thrilled. But my happiness is altered by what I know is coming with climate change,” she said. “I don’t like to scare people but the future’s not looking very good. When I heard that [SA premier] Jay Weatherill had announced the Nuclear Fuel Cycle Royal Commission in March 2015, I knew I had to campaign against the nuclear waste dump. I asked Sis to support me because she helped Nanna – Dad’s aunt, Eileen Kampakuta Brown – with the successful Irati Wanti Campaign against a nuclear dump in Coober Pedy in 2004. So we’re fighting it together. Indigenous activists Rose Lester, 47, and her sister Karina, 42, are the daughters of Yami Lester, who went blind after the “black mist” fallout from the British nuclear tests in 1953 came over his family’s camp.